Although every athlete is concerned about staying safe, few sports present the same dangers as hockey. With high-speed gameplay and potential for errant sticks or pucks, there’s a degree of risk in ice hockey every time a player hops over the boards. 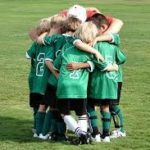 As professional sports come under increasing scrutiny for safety standards, parents may wonder how to ensure their goal-scoring kid stays happy and healthy over the course of the season. 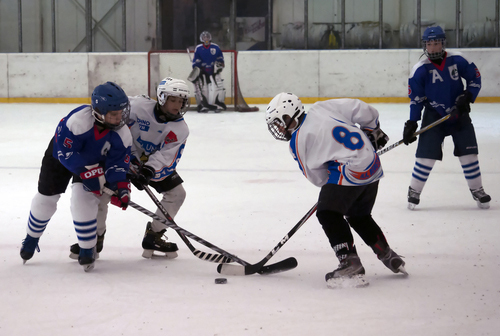 While hockey at the developmental level remains safe for all ages and aptitudes, there are a few steps parents can take to minimize risk on the ice. No player can overcome the faults of failing equipment. Purchasing new gear each season is very expensive, and this presents a major conflict for many parents. Yet allowing a developing player to use hand-me-down skates puts them at a disadvantage both on the ice and in terms of safety. While there are plenty of famous hockey players with skate quirks, — such as Paul Coffey wearing skates that were two sizes too small — kids with ill-fitting skates will have difficulty starting and stopping. Likewise, skates that aren’t sharpened frequently enough turn an ordinary skating drill into a possible fall on the ice or into the boards. Make certain skates fit a child’s feet well and that other protective gear, like shin pads, are big enough to shield the body from a hard shot. Repair gear properly: Never use duct tape or superglue to fix a problem (unless it comes apart at the worst possible moment). Check that all helmet screws and snaps are in place and tight enough to withstand impact and that all pad straps fit comfortably and function properly. While much of the media focus is centered on concussions and head injuries in full-contact sports — such as the string of concussions that forced Brett Lindros to retire at age 20 — risks are greater by simply pushing too hard on a play than from collisions. Parents often urge coaches to position their kid as the starting center or top defenseman, but pushing a kid to do too much against tough competition can lead to harm on the ice. Coaches need to ensure they match players of similar sizes and skill levels at all times, so a player with a size disadvantage does not get hurt trying to defend or attack. Likewise, monitoring the time spent on the ice is important: No child playing hockey should play a shift more than two minutes, as they may lose stamina and fall or get pushed. Ample recovery time is pivotal as well: Each skater should be on the bench twice as long in a game as they are on the ice, with lots of water available to prevent dehydration. Even in a cold rink, players can overheat if they push themselves too far, making it important to adjust ice time properly to prevent overexertion during a shift. One of the best ways to prevent injury is to properly stretch muscles. Any physical activity benefits from stretching, because the movements extend and lengthen muscles after strenuous activity. Demonstrate this to kids using the “rubber band” trick: Place a rubber band in the freezer for a few hours, then have your child try to stretch the band. Rather than stretch, the band snaps apart just as a “cold” muscle will if overextended. Remember, stretching after games can be just as valuable as stretching before games. Mikka Kiprusoff famously stretched for three hours on game days. While for most players it’s not necessary to spend more than a few minutes stretching , the legs and arms need to be worked well before warming up. Erin Wozniak is the Director of Marketing for Pro Stock Hockey, an online resource for pro stock hockey equipment. Erin is passionate about the game and is an expert in web strategy and digital marketing. Some of Pro Stock Hockey’s products include hockey pants, protective equipment, skates and more.